I'm back!!!!!!! I needed to make a card and had NOOOOOO mojo flowin! 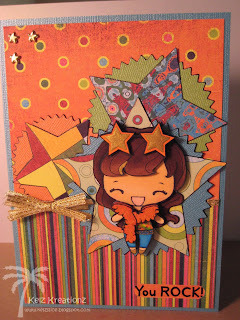 Katie had her card for Mojo Monday (which is going on all week so get in on it!) and viola... The only problem is that now I dont wanna give it away. I had tons of fun making it. I discovered you can color fun flock with your Copics and even apply Smooch to it, Smooch is great for big areas and small, I love paper piecing and I cant make a bow to save my life.. hahaha... Enjoy! While you're there, be sure to check out all the other cool Copic info and awesome downloads Rach has made!!! Katie also has some video tutorials up there to watch on coloring.. 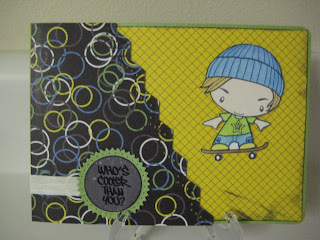 Check out this awesome blog candy from Doodlefactory.... click here for you chance to win!! So get on over there!!! Do you love The Greeting Farm?? Do you want the chance to win a free stamp set of your choice from them!! 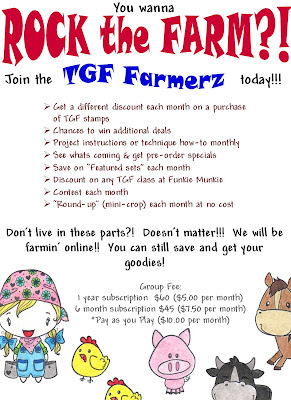 Head on over to TGF Farmerz!! 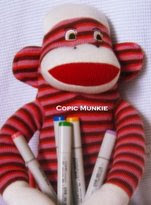 There is also fabulous blog candy on Copic Munkie!! Your chance to win at least 1 spica and 1 copic!!! So head on over and check them out!!! Check out the new club!!! A club for The Greeting Farm stamps!!!!!!!!!! WOOHOO!!!!!!! 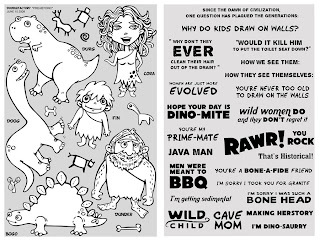 Funkie Munkie Scraps is offering a way to play and save with these awesome stamps! 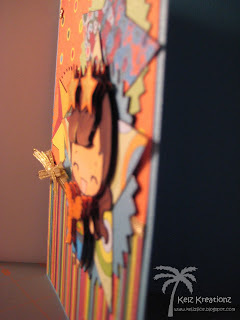 Kick-off is on National Scrapbook Day, May 2, 2009... but you can get signed up now! For more info... check out their new blog... The TGF Farmerz E-farm! 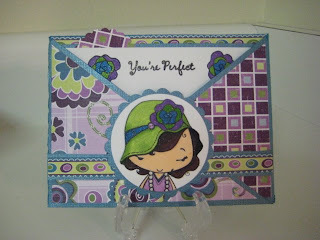 After I made this card, I made another that is altered to be a gift card holder for my TGF Card Class on Saturday at Funkie Munkie Scraps from 1-3. So be sure to stop by if you're local! Also, be sure to check out The Greeting Farm and check out her new releases today! Dont forget to check out the Graduate Anya and Ian digi-stamps!!!! TOOOOOO CUTE!! 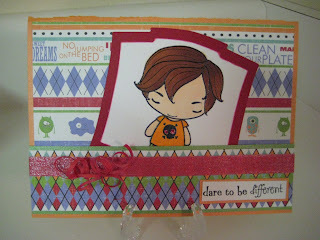 Well here's a teaser of a card from my first The Greeting Farm class coming up March 3rd 6:30pm to 8:30pm at Funkie Munkie Scraps!! 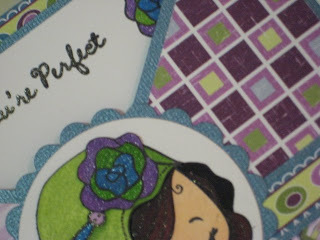 You'll not only learn how to make 2 "funkie" cards, but how to paper piece! Its my favorite thing to do, especially with Anya & Ian! You can go "pp happy".. hahahaha... I will be coloring with Copics and Spicas, but you can bring whatever color medium you want!! I cant wait! I will be doing more "TGF" classes with each one being different... Different shaped cards, coloring techniques, assembly techniques, stamping techniques, etc etc etc... All loaded with all sorts of tips! With each class you will walk away with not only 2 "funkie" cards and Tips n Techniques (TnT), but the card "recipes" for each one! EEEEEEEEEEEE... I am sooo excited! 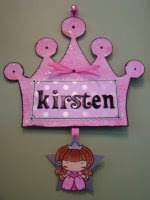 So be sure to get to checkin in at Funkie Munkie Scraps asap, as class size is limited to 10! You can also find out exactly what you need to bring! I will also say that I dont put my list of supplies on each post. I think it makes it tooooo long, but if you ever want to know about anything.... just ask! I will be happy to pass it on! I probably wont have any more posts til the weekend... Busy working on things, but with last week being my long week at work, I dont have anything done... But stay tuned.. I am off this weekend!! I'm a proud Momma, wife, 911 dispatcher and card maker!! All content on this page, including text, images, and designs are copyright Kelly Brown. 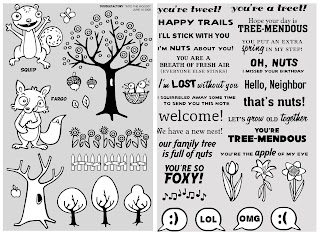 Stamped images owned by Kelly Brown and copyrighted according to manufacturer. My original artwork is for personal inspiration only and may not be copied for the purpose of publication, contest submissions, or profit. Thanks for your support!